As an eBook lover, you probably have stored great amount of PDF eBooks on your computer. 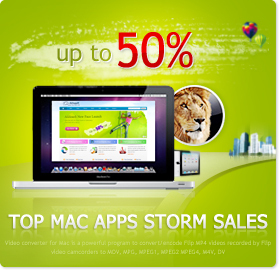 But unfortunately you can't transfer a PDF eBook to Apple iPad, iPhone, iPod directly with iTunes. As the free iBooks app on iPhone/iPad/iPod supports only ePub format (one of the popular standard ebook formats supported by most of portable devices and ebook reader, so you need to convert PDF to ePub for reading on iPhone/iPad/iPod. 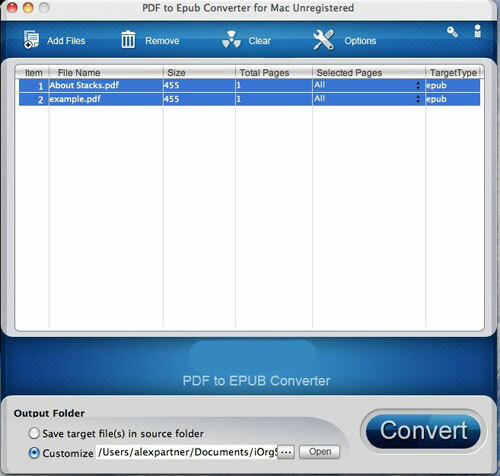 While the PDF to EPUB Converter for Mac is specially designed to convert pdf to epub format for Mac users. The default mode: Keep original text, images, hyperlinks, etc. 4. 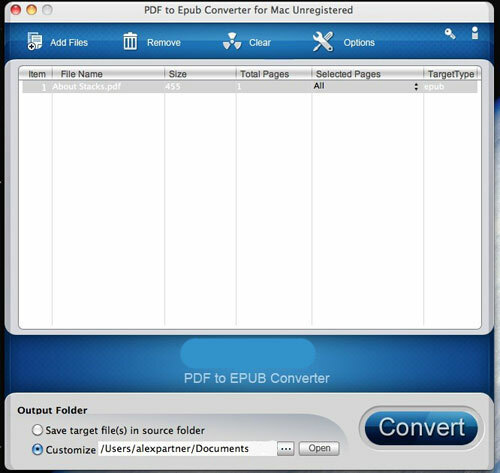 Click convert, quickly you will get epub format ebook for your iPad, iPhone, iPod or other portable devices. 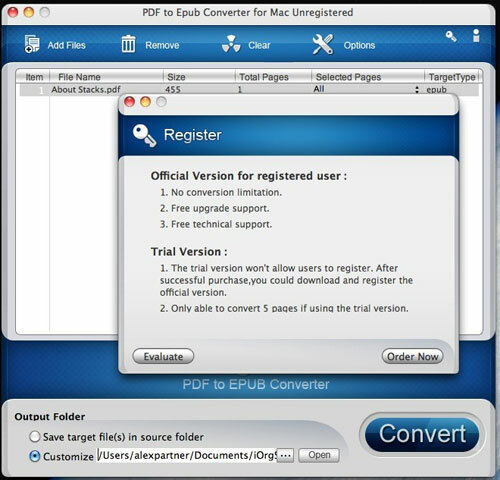 Apart from the function of quick and easy converting PDF to EPUB, the smart Mac PDF to EPUB converter also has some powerful editing options provided for optimal view or specific demand. 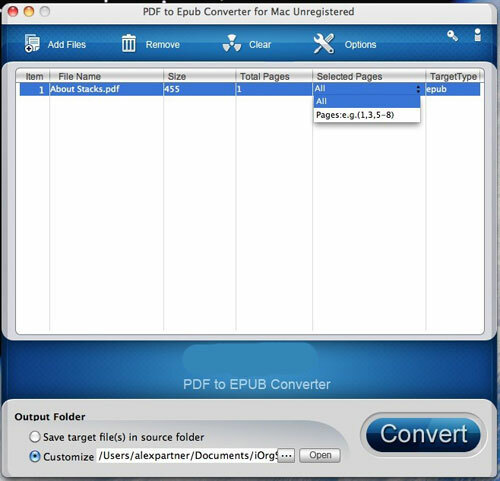 For example, you can convert PDF files to EPUB in batch, specify certain page(s) of PDF document to be converted, etc. Add several PDF files to the panel, Press and hold "shift" key, click all the files you have added. 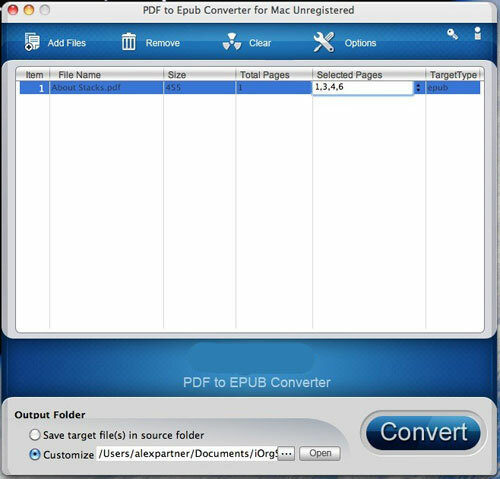 Then you can simultaneously convert several PDF documents to EPUB ebooks. - Choose whether to preserve hyperlinks, image or not. 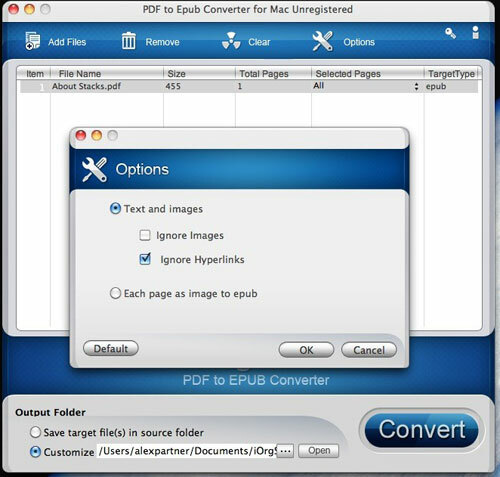 - Support saving original pages as images in output EPUB ebooks. Free Download PDF to Epub Now!